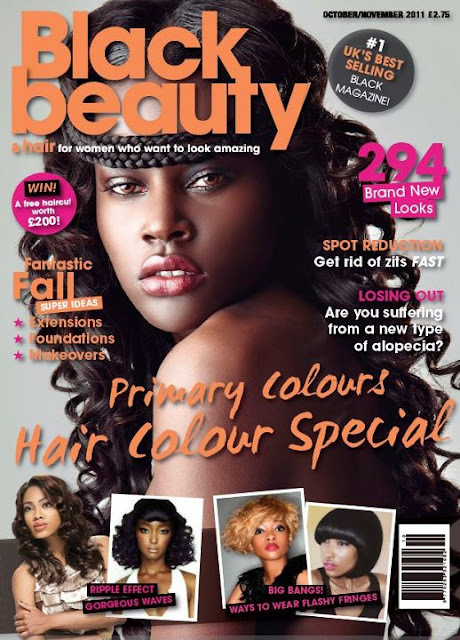 How can I forget to blog a very big achievement to have my work featured on the UK's leading Black magazine. This was a very striking TEST shoot, which stood out thanks to creativity of our hairstylist and talented photographer and retoucher Agata Preyss (my fav photographer). Many thanks to Irene Shelley (Editor of Black Beauty and Hair) magazine for this amazing opportunity and the amazing BBH team! This is beautiful work i must say. Please i posted on your page on facebook. Id like you to join the fb group - MUAs (Makeup Artists) West Africa. Im creating a forum for all west african MUAs to come together and discuss and be one and learn. I have been watching your videos and I came across your latest video which is Model Mondays, I saw the link to your blog and that of your model.I just want to inform you that I like the way you approach your tutorials.Its professional and unique from other gurus.